Display attributes of the configurable product as matrix view in the product page. Enable to show unit price, special price, stock status and stock quantity in matrix view for every simple product of the configurable product. Why Magento 2 Configurable Product Matrix View is your must-have extension? Magento 2 Configurable Product Matrix View Extension is a suitable choice for stores targeting wholesale customers. Wholesalers often purchase in a large quantity of children products of configurable product and they never want to buy one by one because of wasting a lot of time and effort. Therefore, by using this module, wholesalers can comfortably order in bulks in the product page without repeating the purchase process. 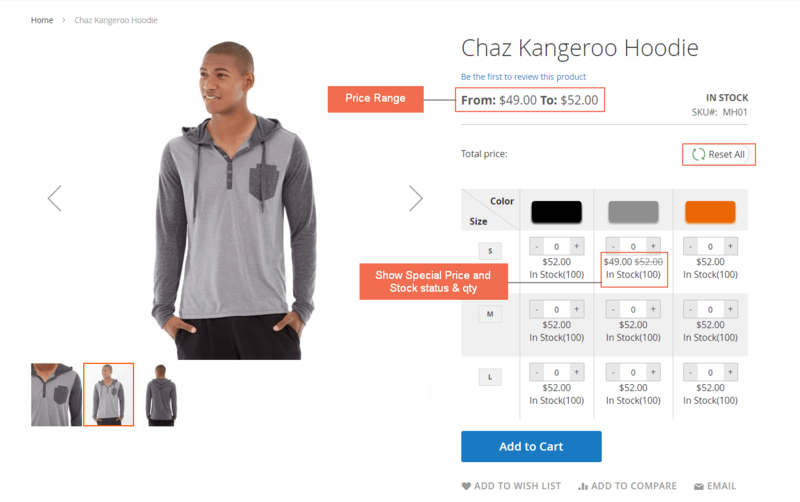 As Magento default, it is very difficult for customers to see how many products are available in stock because the stock number is not visible in the frontend. Therefore, by showing the stock number in the matrix, customers can easily know exact product availability and also store owners manage inventory to control product supply timely. The main features of this extension are very convenient and easy to use. No bug or conflict. I have multiple attributes for an item, so when installing this module, my customer can easily select attribute value and add a lot of items to cart at once. Thanks, support team! Fast, effective and enthusiastic! 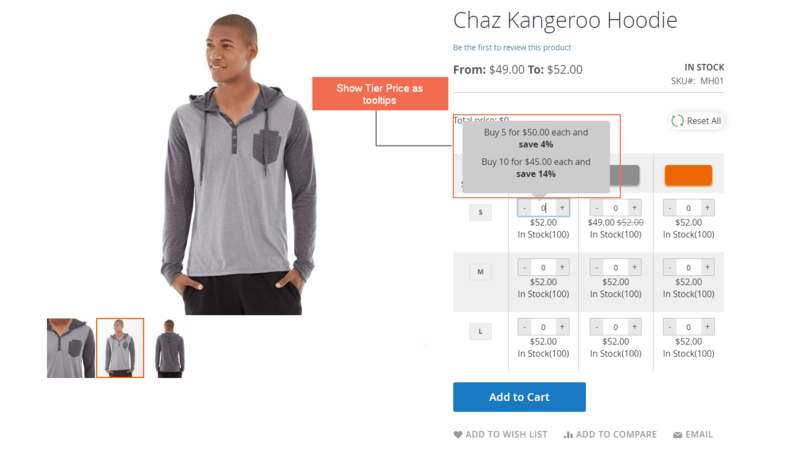 This extension is truly a good solution for Magento 2 store owners. Useful for Wholesalers as well. I like it! I like this performance for configurable product from your module. Good extension. Highly recommend it for wholesalers. I use version for Enterprise and it works effectively. Magento 2 Configurable Product Matrix View is the display of configurable product that I like most. It helps my customers to order multiple products easily and quickly. Magento 2 Configurable Product Matrix View works well. Nice performance for configurable product, so I like this module.